The venue was expanded in 2008 and 2011. In 2011, the roof of the stadium collapsed, killing two workers. A year after the accident, a monument was unveiled. In 2017, the women’s national football team of the Netherlands were crowned European champions at De Grolsch Veste after defeating Denmark 4-2 in front of 28,000 fans. Football Club Twente have been tenants of the venue since 1998. They won the Dutch top-flight football league in 2010 for the first time in their history. 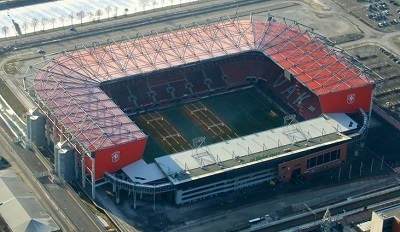 FC Twente drew an average home attendance of 23,000 during that football league season. They became the fourth sports club from the Netherlands with 100,000 followers on their main social media page. Ajax, Feyenoord and PSV were the first three clubs.